FLUID INNOVATION TECHNOLOGY THE SECRET BEHIND VARIABLE WATER RESISTANCE ROWING. Not all rowing machines offer adjustable resistance – First Degree Fitness rowing machines are unique however, with a patented twin tank design which transfers water to and from a passive tank, to an active tank. This enables the user to select an appropriate and progressive level of resistance by adjusting the amount of water in the active tank. FDF’s patented fluid innovation creates a challenging workout for literally any fitness level and allows a user to change resistance at the turn of a lever, even mid-workout. The level of resistance is what we call Fluid Force, and can vary from feather light to Olympic sprint. FDF’s combination of a multi-bladed impeller and internal baffles within the rowing machine’s water tank, generate a smooth and uniform stroke unrivalled in its precise replication, including no lag of resistance at the catch, and continued resistance all the way to the finish, just like in a boat. This is just one of the reasons FDF indoor rowers are the most alike to an on-water rowing experience, allowing the user to maintain a professional rowing technique and train for different water conditions. In most instances, other water rowing machines or air rowing machines rely on the user to create resistance by churning the water or air through a flywheel. In addition, other water resistance or air resistance rowers deliver a force curve where the resistance falls off during the second half of the stroke, well below that experienced at similar paddling rates in an on-the-water rowing boat. Learn more about water resistance rowing and how to compare indoor rowers. 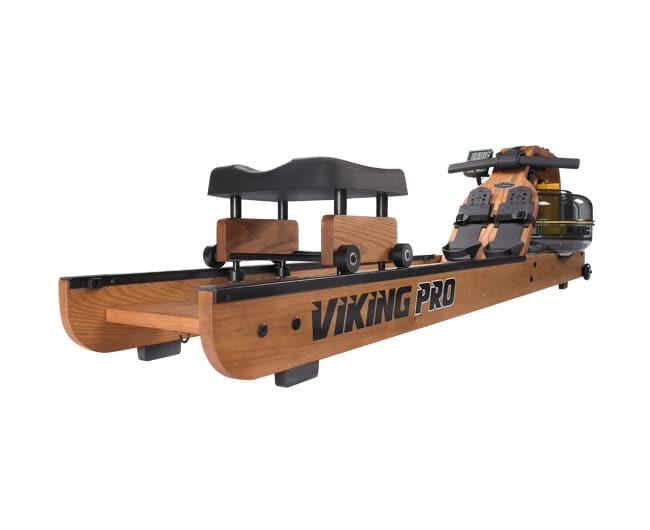 The secret of the viking ship lay in its unique construction, so too does our patented water resistance rowing technology. With our patented Fluid Innovation technology, our water rowing machines challenge you to row harder, build strength and cover greater distances faster.